We recently connected with Stan Phelps as he was finishing his eighth book, Pink Goldfish – Defy Normal, Exploit Imperfection and Captivate Your Customers. We had a great conversation about proven steps to achieve an advantage in a competitive marketplace. An IBM Futurist, TEDx Speaker, and Forbes contributor, Stan has spoken at over 300 events in 17 countries. Prior to focusing on writing and speaking, he held leadership positions at IMG, Adidas, and PGA Worldwide Golf Exhibitions. 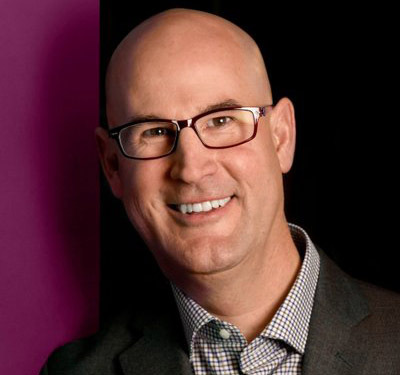 He also spent seven years as Chief Solutions Officer at Synergy, an award-winning marketing agency where he helped create larger than life brand experiences for brands such as KFC, M&M’s, Walmart and Starbucks. Read below to get his take on all things CX! Stacy & Liliana: What do you think are important customer experience skills that people should focus on if they want to develop their expertise in CX? Stan Phelps: Communication, empathy, and willingness to fail fast/often. SP: There are huge opportunities to leverage technology, data, and analytics to develop more personalized experiences. Experiences that are more responsive to the customer’s needs in a harmonious way across all channels. With great power comes even greater responsibility. Responsibility to manage our customer’s data and a responsibility to not lose the human touch beyond the transaction. Technology should also reduce friction for both employees and customers. SP: Small to mid-size companies may not have big budgets, but they typically can be more agile than their larger counterparts. They can learn faster and implement change more quickly. SP: One word: Continuously. I believe that companies should be measuring employee engagement almost as much as they measure customer loyalty. I believe the one area that few companies are effectively measuring is that of purpose. S&L: What are your top three tips in DoingCXRight? SP: My top three tips follow my model for 3D continuous development: 1. Discovery – set up systems for understanding and gleaning insights from both employees/customers. 2. Design – be able to take those insights and quickly test/validate improvements. Improvements that reinforce culture, drive employee engagement, add value for customers, or make things easier for employees/customers. 3. Deploy – once improvements are validated, you need to have the resources, process, and buy-in to implement improvements throughout the organization. Inadequacies in any of these areas can derail a program and hinder DoingCXRight. S&L: You’ve written six different colored books in your Goldfish Series. Tell us about you’ve learned along the way? SP: My background was in marketing when I started writing and speaking a decade ago. My purpose was to shift the paradigm in marketing. I believe marketing should be more focused on the customer and his/her experience, instead of chasing the prospect. This was the focus of Purple Goldfish. How can you go beyond the transaction to do a little extra to create meaningful differentiation and drive loyalty? After crowdsourcing over 1,000 examples and uncovering 12 ways to improve the customer experience, I realized that many companies who excelled at the customer experience also put an emphasis on their own employees. This led to Green Goldfish and another 1,000 examples of how companies purposefully reinforce culture and drive employee engagement. While writing Green, my thinking evolved once again. I originally believed that organizations should treat all employees and all customers the same. I no longer believe that. For most organizations, 80 percent of profitability is generated by just 20 percent of customers. Also, 80 percent of value is typically generated by just 20 percent of employees. My third book Golden Goldfish examined nine ways to do little extras for your “vital few” customers and employees. The next two books, Blue Goldfish and Red Goldfish, examined how to leverage technology and purpose respectively to again create meaningful differentiation and drive loyalty. The most recent color in the series is Pink Goldfish. Pink is based on the idea that companies need to stand out in a crowded marketplace, but true differentiation is increasingly rare. Based on over 200 case studies, Pink provides an unconventional seven-part framework for achieving competitive separation by defying what’s normal and by embracing flaws, instead of fixing them. You can learn more and buy Stan’s book on Amazon. Note: DoingCXRight readers can get a FREE executive summary of Pink Fish – Stan Phelp’s latest book. Simply sign up here for our blog updates to request your copy and we will send you the information you need. Feel free to share with friends who you think would benefit too!